Hey, I seriously, seriously, appreciate all the support over the years! June 29, 2016 Subscriber E-mail Alert. 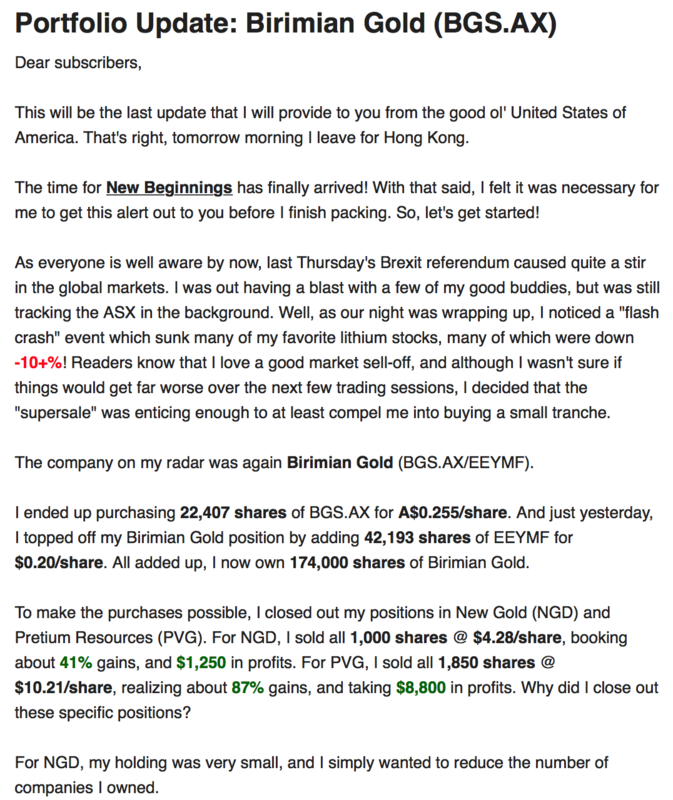 With all that said, let’s now explain how I got to my latest “best new idea” in the gold sector. 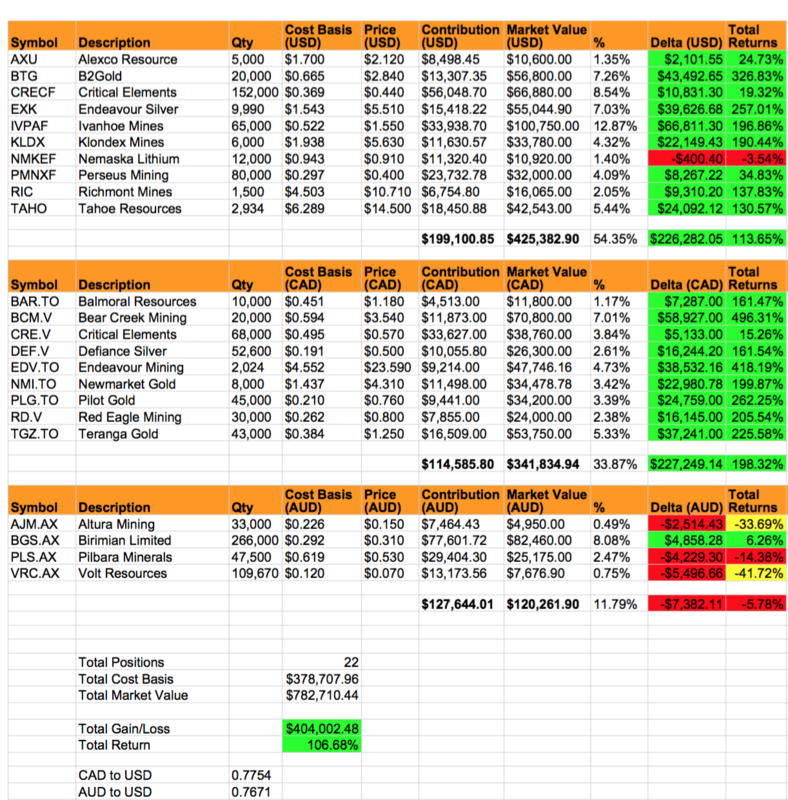 Just the other day, I took a serious look at my mining portfolio, and decided it was time to exit out of one of my gold positions, Pilot Gold (PLG.TO). The stock had run up quite a bit, and I was sitting on some pretty hefty unrealized gains… On reflection, I realized that I first got involved with the Pilot Gold story because I had interest in their Turkey assets, and thought the company represented solid value at around sub ~C$30 million market cap. Well, with the most recent run up in practically all gold stocks, shares of PLG.TO are now trading closer to ~C$100 million market cap. I hope I’m wrong, but at this point in time, my conviction is to book my gains and try and re-deploy the capital elsewhere. So, I sold out of my entire position in Pilot Gold, liquidating 45,000 shares, and realizing over C$24,000 in profits. With my Pilot Gold position closed, I had about C$34,000 in fresh capital to invest into a “better” idea. Almost immediately after, I decided to initiate a position in a new company, Alicanto Minerals (AQI.AX). I purchased 100,000 shares of AQI.AX @ A$0.32/share. Similar to Pilot Gold, Alicanto Minerals is an early-stage exploration company that is primarily focused on making the next major gold discovery. With Alicanto Minerals, there is a lot to get excited about with this story! First off, the company is focused in Guyana, which is a relatively underexplored but very prospective region for finding gold. Just look at the following slide below. If you look at the map above, it’s very impressive to see how many multi-million ounce gold deposits have been uncovered nearby. Most recently, Guyana Goldfields (GUY.TO) has done particularly well getting into full-scale commercial production with their Aurora deposit. Guyana Goldfields performance year-to-date (YTD). 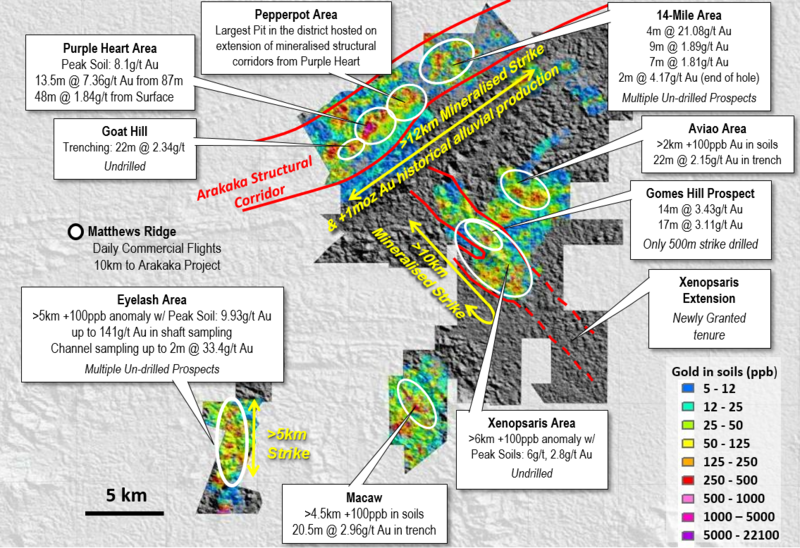 Guyana Goldfields Inc. is an emerging gold producer with the onset of its Aurora Gold Mine which achieved first gold pour in August 2015. The mine plan for the Aurora Gold Mine is designed to produce 2.86 million ounces of gold, averaging 188,000 ounces per year, over an initial 16 year mine life. So, there you go, an example of a Guyana success story that many of the juniors just getting started in the region will no doubt try and replicate in the future. 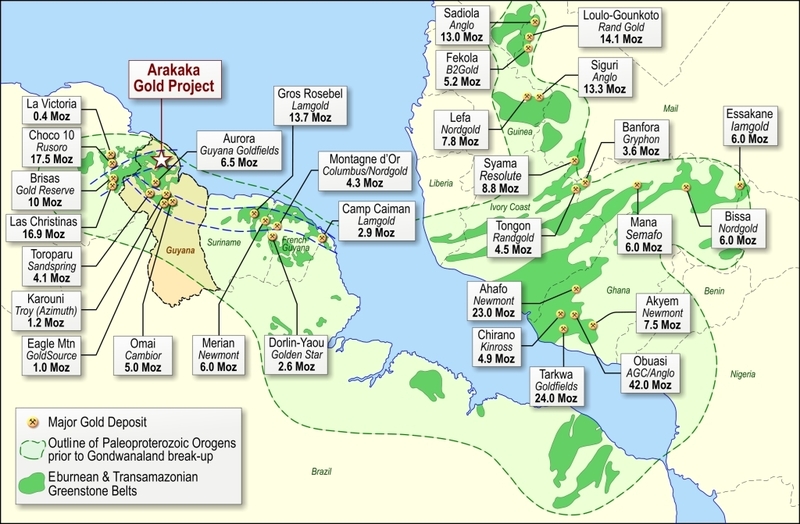 Enter Alicanto Minerals and their Arakaka Gold Project. With Arakaka, the land package is especially exciting because it’s so vast and there are so many targets for the company to go after. From the slide above, it says, “+1moz Au historical alluvial production“. What this means is that with Arakaka, we are dealing with Brownfield Exploration and not Greenfield/Grassroots Exploration… Or, in layman’s terms, we already know that the project has got gold (and most likely lots more of it)… we just don’t know how much gold is actually there… yet. But for certain, with Arakaka, we ain’t dealing with virgin grounds, so the company isn’t just blindly firing away drill holes in the dark, simply hoping and praying that they get lucky… Stage 1 of exploration was all about putting together hints and clues to help the company pick out the best drill hole candidates. Sure, the team could still come up “empty handed”, delivering results that fall well short of market expectations, but it’s almost without question that whatever they drill, they’ll find gold to some degree. I like the odds, anyway, much more than I would with say another junior explorer who is indeed going after “new discoveries”. In a way, investing in these stocks very early on (before a single drill result has been released) is akin to buying lottery tickets… But like most things in life, the devil’s in the details and I think it’s too much of a sweeping generalization for anyone to just assume that anything early stage is just simply “too risky to partake in”. In the case of Alicanto Minerals, if anyone cares to dig into the details, they will find that the company has an earn-in deal with Barrick Gold (ABX). For a company like Barrick Gold to get involved with a junior exploration company, you would have to think that the land package was something pretty special, right? At least half-decent? I mean, a company like Barrick Gold is so big that in order for them to move their production needle even slightly, they would need to acquire and develop some pretty MASSIVE deposits, right? We are talking about multi-million ounce projects here… Something that can only be found in “Elephant Country”. Elephant Country = Massive upside potential. Currently, shares of AQI.AX trade at the following valuation. From a risk vs. reward perspective, I think AQI.AX looks pretty appealing at ~A$25 million market cap. 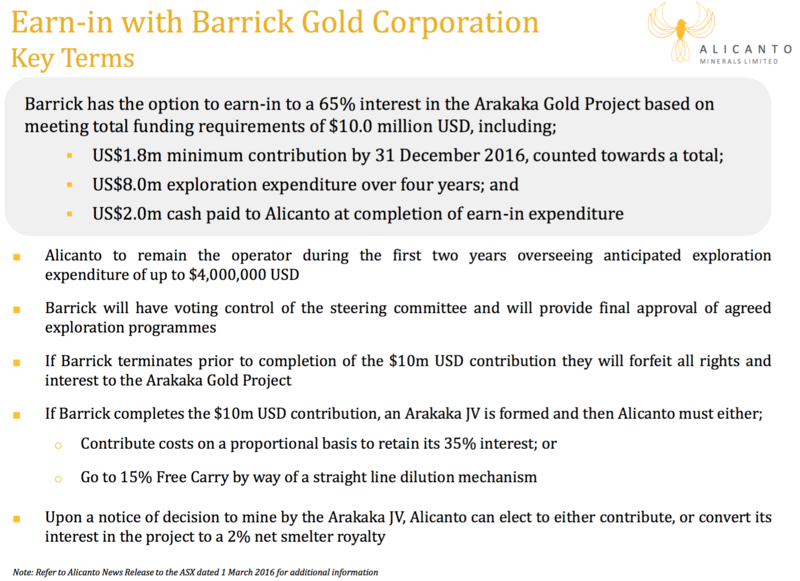 Yes, Pilot Gold has more assets under their belt that are at a much more advanced/mature stage of drilling, but I will be quite honest, the earn-in agreement that Alicanto Minerals has with Barrick Gold was pretty hard for me to ignore… I see blue sky potential with Alicanto’s Arakaka Gold Project, which I clearly don’t see with any of Pilot’s assets. Not to mention, Alicanto Minerals has the support and backing from Sprott Global, who is a major shareholder. From Alicanto Minerals (August 2016 Corporate Presentation). Only 83.6 million shares on issue… Top 20 holders own 50% of the company and management holds 20%… You gotta love that! Anytime management holds 20% of shares (or more), I look at it as a strong positive for the company, and it definitely helps me cross off an important consideration on my buying checklist. 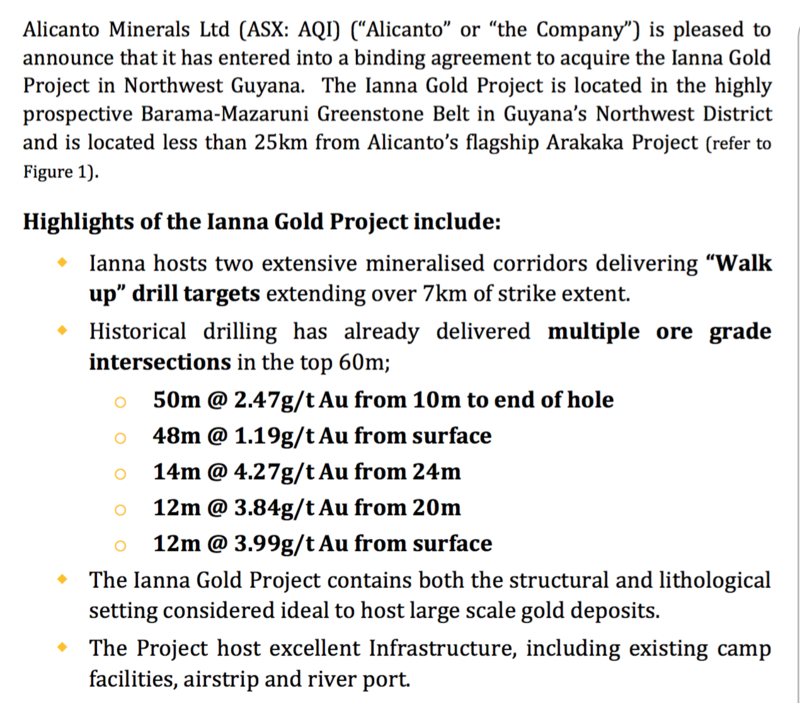 Oh yes, and in addition to the Arakaka Gold Project, the company is also currently in the process of doing its due diligence to acquire another prospect, the Ianna Gold Project. But for A$25 million, sure, I don’t mind taking a “flyer” on an early-stage growth story with a portion of my capital that could very well someday return some pretty impressive gains… especially if gold keeps on marching along, continuing its bull market ascent. Please note: As always, please do your own due diligence and research before investing any of your own hard-earned dollars. I only post these type of updates to share with readers what I’m doing with my own money. I will NEVER offer any kind of investment advice! 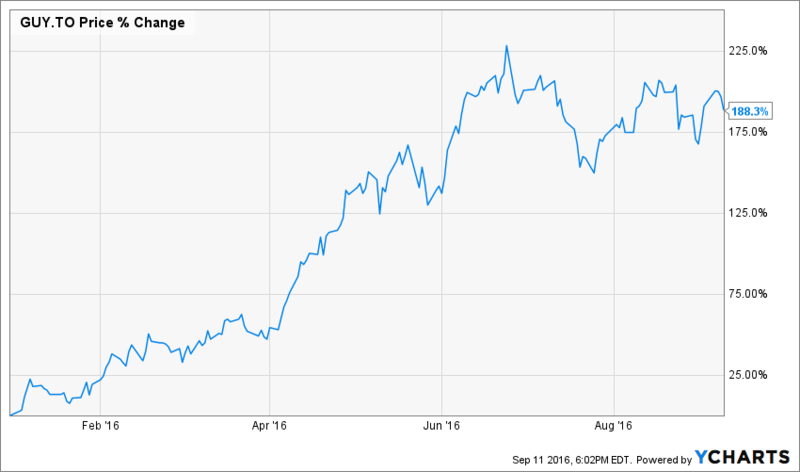 This post answers the question of: Is it still a good time to invest in gold mining. I look forward to your new ideas and appreciate the research and thought that goes into each. There is a ton of information out there and it is difficult to narrow down which ideas are good and who actually knows what they are talking about. Keep them coming! Yes, early-stage exploration is inherently more risky, which is why I’m targeting the ones that have very prospective projects and are trading at below $30 million market cap… The lower, the better… My good buddy likes to target sub $10 million to mitigate risks… And he sells half on a double, or enough shares to significantly reduce/eliminate his cost basis entirely… With early-stage exploration, taking a “free ride” is a very shrewd investment strategy to let your participate in future upside while pulling all your chips off the table… It’s hard to lose sleep at night when you are free-carried on your stock positions. The world of gold mining isn’t like Buy and Hold Forever… The rules are very different and most investors don’t appreciate or understand that when they start to buy. What do you think of NAK and its pebble project ? Also eeymf I tried to get some shares online and it doesn’t let me and I also called td Ameritrade to try and get some shares and they said they don’t offer them any advice for me to grab some ? I’m not a fan of that project since I believe there is a lot of opposition to it and it’s going to be a lot of working getting it into production… Too much risk for my appetite, but I’ll admit I don’t follow that story all too closely, so am not sure where things stand atm. In regards to EEYMF, your broker should be able to help you setup a limit order through their block desk, trading directly on the ASX to get the order filled. You would need to call in as I don’t think any online brokers will let you place such an order directly online. If TD Ameritrade doesn’t work, you can try Schwab or Vanguard who I know for certain can transact in the EEYMF OTC shares. Easiest solution would be to open up a global trading account if you can. I use Schwab Global personally, but Sprott Global and Interactive Brokers are some other options. Also I don’t think they offer alicanto as well …. Any help ? I will probably be entering the mining stock market soon (given your results, really). Assuming I know 0 about it, could you point me to some references to learn about this? Next post: Uranium – The Worst Bear Market Ever?